NATURAL DESTINY (AUS) (Brown 2002-Stud 2008). 10 wins to 1600m, BTC Summer S., Gr.3. Sire of 117 rnrs, 77 wnrs, inc. Misery, Reigning Thunder, All Natural, Old Smokey, Spear of Destiny, Wigglesworth, Arabian King, Dame Destiny, Marscay Force, Primed for Destiny, Kissed by Destiny, Lillooet, Destiva, Secret Process, Eliazar, Grey Tights, Toecanargie Man, Heza Chumley, Mr Snowman, Pat's Destiny, Backtospec, Belem Grey, Cap Domingo, etc. Falvelina (f. by Falvelon). 7 wins to 1100m, A$249,050, BRC Events at BRC QTIS 3YO H., Aspley Leagues Club H., Hardy Brothers P., Sky Racing P., Brc.com.au H., Ticketek H., Pacific Inks P., 2d BRC Sun Disk Systems H., Nathan Lawyers H., 3d BRC Plough Inn Tavern H., Ipswich Dash, Toowoomba TC Neil Mansell Concrete Quality H.
Misery (g. by Natural Destiny). 5 wins to 1100m, A$118,000, to 2016-17, BRC Darley Kingsford-Smith Cup Day H., Christmas Movies Trackside H., SCTC Pelican Motors Service Centre H., 2d BRC Hog's We'll Raise the Steaks H., Canadian Club H., 3d SCTC XXXX H.
Spear of Destiny (g. by Natural Destiny). 3 wins to 1100m, BRC Racezone P.
Oneeyed Undertaker (g. by Econsul). 2 wins at 1300m, 1500m in Aust. Falvelani (f. by Falvelon). Winner at 1000m in Aust. Showboat (g. by Show a Heart). Winner at 1100m in Aust. Reigning Thunder. 4 wins to 1300m in 2016-17, SCTC @Skyracingau P., 2d BRC Treasury Ladies Oaks Day H.
Roadhog. 10 wins from 1000m to 1600m, A$334,398, MRC Sovereign Red H., Battle of Long Tan H., Le Pine Funeral Services H., History of Thoroughbred Racing H., AJC Parramatta Diocesan Development Fund H., Crowne Plaza P., STC Christmas at the Races H., 2d MVRC Gillies Famous Pies H., AJC Inglis H., STC Nivea Visage H., 3d MRC PFD Food Services Classic H., AJC Canon Wishes You a Merry Christmas H., STC Michael Hansell Signs H. Sire. Heliograph. 11 wins from 1000m to 1700m in Aust. Forest Rose. 5 wins to 1200m in Aust. A Way With Dames. Winner at 1200m in Aust. Our Kobi Jade. 3 wins from 1600m to 2200m, 2d MRC Lucknow H.
SETO BRIDGE (Bellotto). 5 wins from 1200m to 2700m, A$267,710, Newcastle Gold Cup, Gr.2, SAJC St Leger, Gr.3, AJC Gregory Blaxland H., 2d SAJC West End Draught S., Gr.3, AJC Warwick Farm Spring Cup, L, STC Quick Eze H., L, VRC Grey-Smith S.H., L, Moe Cup, STC Mill Reef H., Campbellfield H., 3d AJC Summer Cup, Gr.3, Chairman's H., Gr.3, STC Zenith Club H., 4th AJC Services' Memorial Cup, L, NSW Tatt's RC Tattersall's P., L, STC Christmas Cup, L.
TUCKER BOX (Lunchtime). 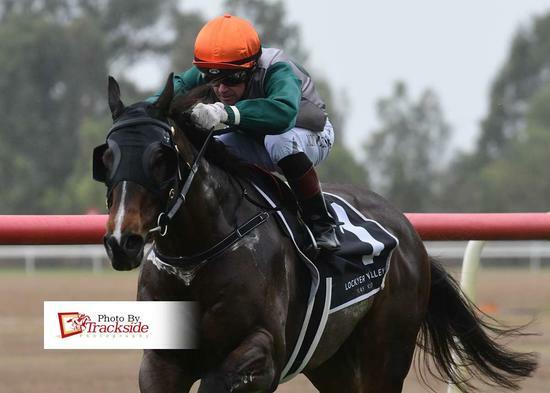 5 wins from 1400m to 2000m, A$143,160, Darwin Cup, L, AJC Persimmon H., SAJC Caliente P., 2d Darwin TC Northern Territory Derby, SAJC Court Sabre P., STC Lakemba H., 3d AJC Steve Donoghue H., SAJC Century H.
Mascagni. 8 wins from 1950m to 3450m, A$79,545, SAJC Peace Command at Meadowland H., 3d Oakbank RC Von Doussa S/chase. XCELLENT (Pentire). NZ Horse of the Year twice. Champion 3YO in NZ in 2004-05 & Champion WFA performer & stayer in NZ in 2005-06. 8 wins from 1400m to 2400m, NZ$1,234,875, A$375,000, New Zealand Derby, Gr.1, Hawkes Bay Kelt Capital S., Gr.1, ARC New Zealand S., Gr.1, Hawkes Bay Mudgway Partsworld S., Gr.1, ARC Sir James Fletcher S., Gr.3, WRC Trentham S., Gr.3, ARC Dunstan Feeds Qualifier, 2d ARC Zabeel Classic, Gr.1, 3d VRC Melbourne Cup, Gr.1. Walhalla Girl (Palaban). Winner at 1600m, VATC Siren H., 2d VATC Chisholm S., 3d VATC Mercedes-Benz H., L. Producer. DRACONIC (Umatilla). 7 wins to 1400m, NZ$86,815, CJC Timaru S., L, Merino Outlet H.